Get ready for colossal fun! Sat., June 20, 12-2pm at ANY Toys”R”Us store. 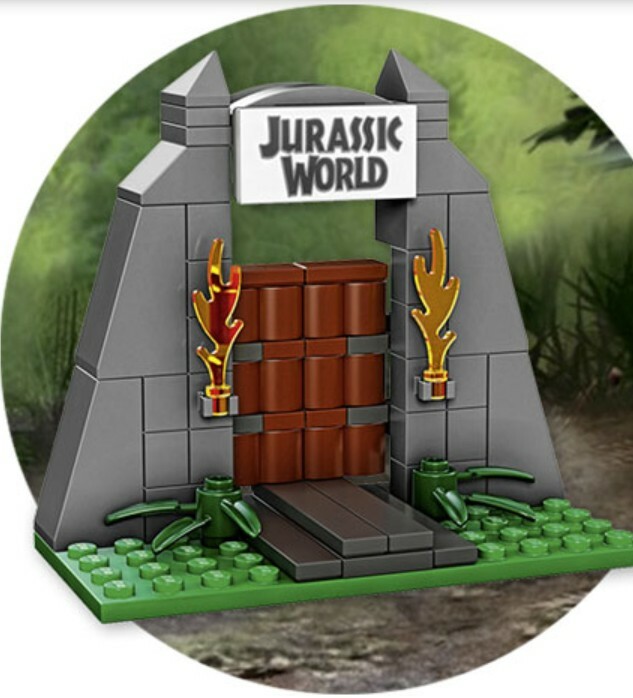 Keep the dinosaurs INSIDE the park when you come in store to Make & Take a FREE Mini LEGO® Jurassic World Gate! 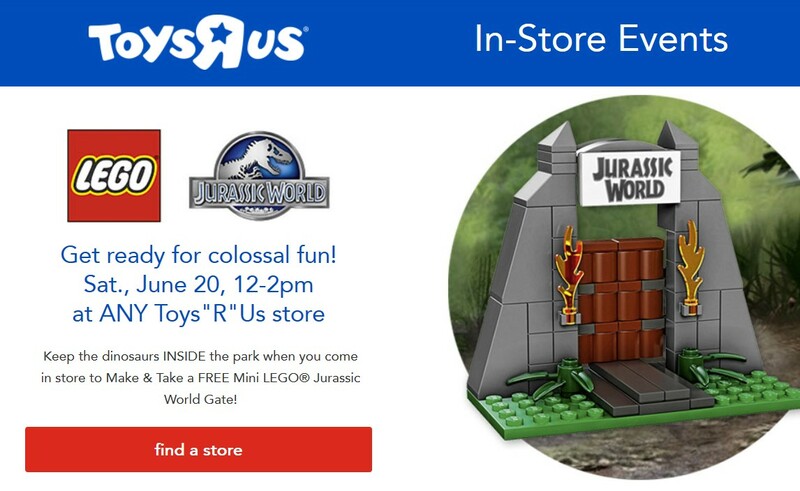 Get your FREE Mini LEGO® Jurassic World Gate at Toysrus USA.